Welcome and introduction by the Chairman of Cockfield Parish Council. To approve the minutes of the last Annual Parish Meeting held on 12 April 2018. Matters arising from the minutes from the last Annual Parish Meeting. County Councillor Report – Cllr Robert Lindsay. District Councillor Report – Cllr Clive Arthey. Parish Council Report – Cllr Derek Southgate, Chairman. Suffolk Constabulary CEO (Sudbury and Haverhill) – PC Jon Gerrish. 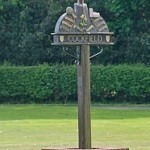 To raise any matters relating to Cockfield which residents wish to highlight.